You may be aware of various imbalances that exist in a love relationship but it might be imbalance surrounding a financial matter that takes up much thinking or conversational time now. A Full Moon influences your shared resources and encourages you to gain a realistic grasp of what's shared, owed or owned where one special connection is concerned. 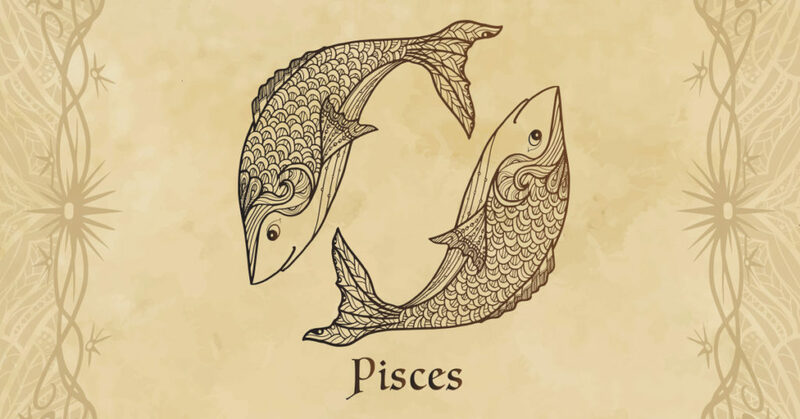 The cosmos is determined to keep things harmonious so there's no reason why, with a balanced and harmonious Full Moon, discussions can't be amicable and productive. The Sun and Moon are at it again, with a second Full Moon in your financial sector in just four weeks. Last month this fell during the Sun's first day in your income sector, whereas this time it falls in his last full day. Those four weeks between the two has made all the difference and while this won't stop income and money matters from clashing, you are now better positioned to turn this into an opportunity for a breakthrough. Be honest with yourself about certain beliefs or attitudes that are altering and, to a large extent, replacing many that are outdated or irrelevant. You could be aware of how you continue to cling to certain mindsets or attitudes that play no part in your romantic or relationship future. You could also discover that you adhere to certain beliefs or attitudes because a lover expects you to. Accept that you're evolving as a person and that you love life circumstances must evolve with you - even if this means letting go of thoughts your feelings that have provided comfort until now. Because the Moon will leave your financial sector today, wrapping up yesterday's Full Moon several hours before the Sun leaves your income sector, there is a chance for tensions to dial back. This means that solar spotlight will remain on your income situation, matters and options as tensions dial back, allowing you to observe how quickly they turn into motivation. Think of how the power of suggestion makes many horror films more terrifying. Our imaginations can come up with something far scarier than what any film director can create. You're blessed with an amazing imagination but it could cause you to see a situation in an unfairly negative light. If it's a fearful fantasy that preoccupies your mind this week, then ignore it and tell your imagination to focus on the many more sensible, inspiring visions the sky insists you can conjure! This is a big week for the Sun, with his final days in your income sector likely to be a roller coaster ride but also exciting and empowering. Things start on a high, with the Sun starting the week aligned with lucky Jupiter, as he moves into his first full week in retrograde motion in your career sector. As you also start the week with the Moon in your work sector and with all three at a friendly aspect, this creates some friendly conditions across the income, work and career fronts. It is a Full Moon in your financial sector on Friday and during the Sun's last full day in your income sector that will see the two clash for the second time in four weeks. Yet this time you have multiple advantages that you didn't have during last month's Full Moon. One advantage is time to prepare and the second is Mercury's return to your income sector on Wednesday, with the smart head for money needed to see through the fog of war. This month, where affairs of the heart are concerned, it's possible that plans made outside the sphere of your emotional world or a love partnership will be more likely to unfold as you envisage them. Love works to its own agenda and sometimes doesn't care what becomes derailed along the way. However, one way to ensure your love life integrates snugly with other aspirations is to have a loved one or partner accompany you on your ambitious journey. Embracing the spirit of teamwork and discussing your dreams with someone close can result in taking steps together to create a more stable future. Getting solid foundations in place from the outset will ensure you and your paramour become clearer about the roles you play in each other's lives – and that certain plans do go to plan! The solar spotlight is always on your income situation, matters and options at this time of year, due to the fact that the Sun will always spend the first three weeks of April in your income sector. However, while a lot of years reveal the same old same old, this year the solar spotlight reveals a very different landscape. This is both on the income front itself and the amount of professional support. As was the case when Mars returned on New Year's Day, when the Sun returned last month it was to find lucky Jupiter in your career sector, for the first time in 12 years. This is what Mercury will find when he returns on 17th April and Venus, the planet of money on 21st April, a day after the Sun leaves on 20th April. 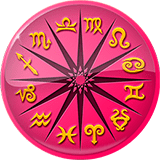 That alone puts a whole new spin on your income options and potential, with Jupiter bringing the kind of professional support that income potential needs. Yet it is on the income front itself that things have changed, thanks to Uranus' departure last month. For the first time in nine years, there is no longer the volatility and constant change Uranus created, giving you a more stable platform. However, with the Full Moon during the Sun early hours in your income sector being repeated during his final 24 hours, this will guard against complacency. There will always be a Full Moon in your financial sector during the Sun's month long visit to your income sector, but for the first time in 57 years, there will be a second Full Moon on 19th April. This time you've already had a practice run and with the Moon returning on 17th April, you have a two day lead up, rather than the minutes you had last month. This will still see income and money matters clash and there may still be some financial tension, but both sides will benefit from the push this will create and better control over things you will have this time. This is a chance to bring income and money matters to fruition or to a head, turning and/or tipping point.